Camaraderie Cellers, Port Angeles. Pate, sausage, and local breads will complement the variety of red wines being poured for the Harvest Tour. The food and wine are perfect for blustery fall weather. Participants are invited to stroll through the garden, as well. Eaglemount Wine and Cider, Port Townsend. Sample a variety of foods featuring apples from our homestead orchard, paired with a new wine release. We’ll be pouring cider, too. Fairwinds Winery, Port Townsend. Gourmet stuffed potatoes perfectly complement our Gewürztraminer. Home-grown squash dip on pita chips is paired with our delicious Mead. FinnRiver Farm and Cidery, Chimacum. Learn just what “handcrafted” means. Sample sparkling hard ciders and tasty harvest-themed sweet treats. Harbinger Winery and Brew House, Port Angeles. 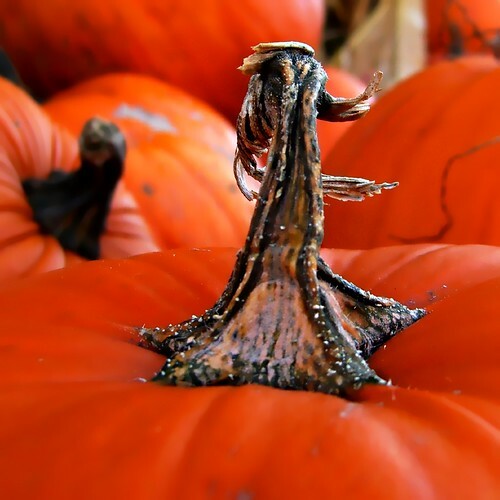 Enjoy freshly baked pumpkin bread, chanterelle and butternut squash bisque, and the newly released Cranberry Bliss. The 2008 Menagerie – a blend of Merlot, Grenache and Syrah – will also be poured for the tour, and our brewmasters have created some special brews. Olympic Cellars, Port Angeles. Sample pumpkin soup with roasted pumpkin seeds and Mt. Townsend’s Fromage Blanc. Enjoy Pane d’Amore Miche bread with our Olympic Cellars Chardonnay Butter. Sip hot mulled Lemberger wine and try our newly released 2007 Cabernet Franc and our Cranberry Jubilee. We’ll also pour our 2007 Neuharth Legacy Cabernet Sauvignon in honor of our 30th anniversary. Black Diamond Winery will not participate in the 2010 Harvest Olympic Peninsula Winery Tour due to a family emergency. 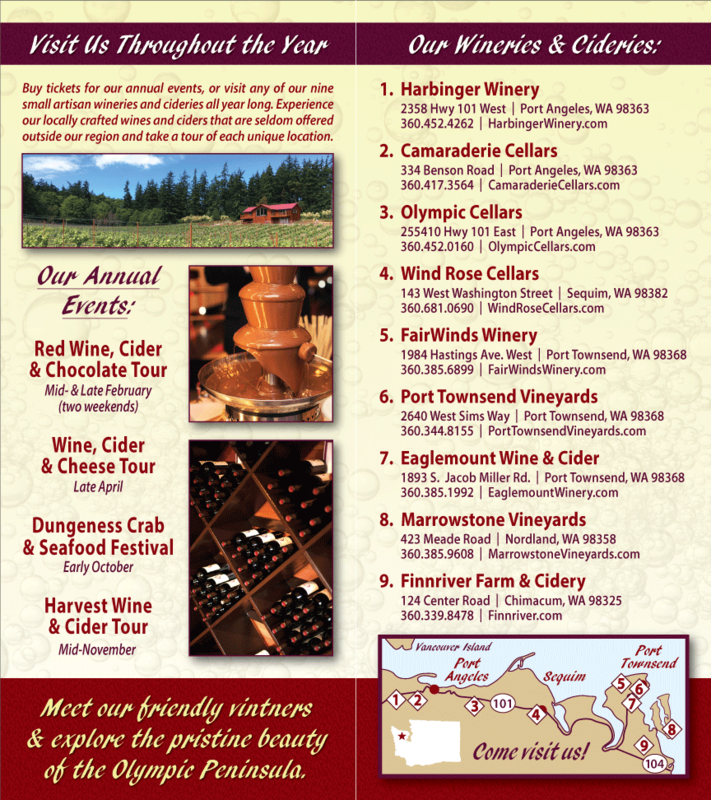 The Harvest Tour runs November 13 and 14, 2010 from 11 a.m. to 5 p.m. Visit Harvest Wine Tour to purchase tickets.